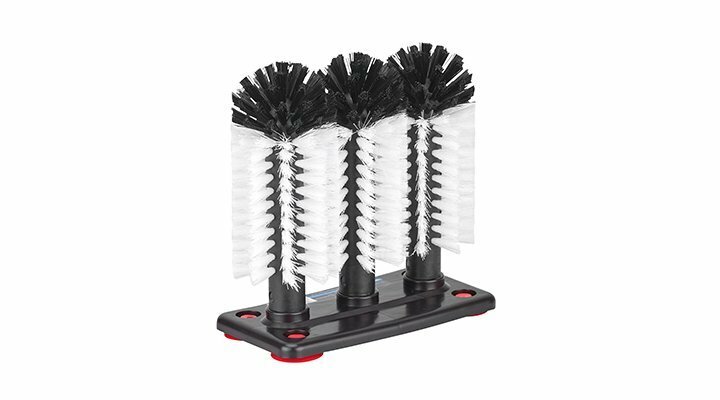 This hedgehog-style manual glass washing brush set is ideal for pre-rinsing glasses before loading into your cabinet glasswasher, particularly if you are using the same glasswasher to clean beer glasses and coffee glasses. Attach to the bottom of a clean sink, and fill sink with warm soapy water. Clean upturned latte, ale and wine glasses to remove milk and tanin residues, which are known to cause poor head retention in beer. 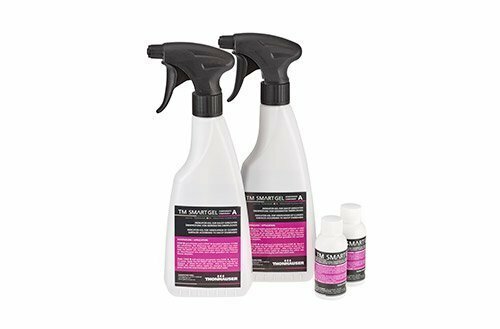 Dirty glasses that are left standing for any length of time will become dry and this dried-on residue can become difficult to remove in a regular cabinet glasswasher. No more poor head retention on your beers!